Chocolate lo vers can easily spend the entire year visiting one chocolate festival after another- there are so many. From big cities like New York and Denver to resorts like Winter Park and small towns like Hershey, there is a chocolate festival near you wherever you live. These indulgent celebrations of chocolates are often accompanied by great local music, foods, local wines and craft beers, and all sorts of activities. Every January for the last three years, as the cold wind blows through the busy streets of New York City, the world-famous chocolatier Valrhona organizes its popular Hot Chocolate Festival. For ten days, about ten local chocolate artists from shops all over the city share their recipes for making delicious hot chocolates using various Valrhona products and adding their special touches such as bourbon, vanilla, and much more. 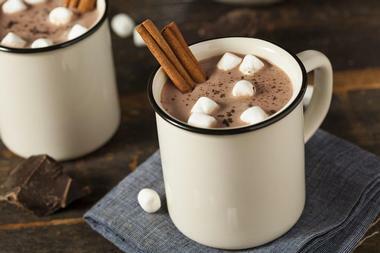 Once purchasing a ticket, guests are invited to taste as many samples of hot chocolate and sweet treats they can handle from all the participating shops. All profits from the tickets go to C-CAP’s Job Training Program, a non-profit organization that supports about 17,000 underprivileged high school students every year. Imagine more than 200 chocolate makers from all over the world gathered in the large San Mateo Event Center, all ready to show what they can do with chocolate beans. Since the event is held in the heart of the Silicon Valley, the festival is all about innovation; the world’s most famous chocolatiers are there to show \ exciting new ways to eat, drink, and enjoy chocolate. 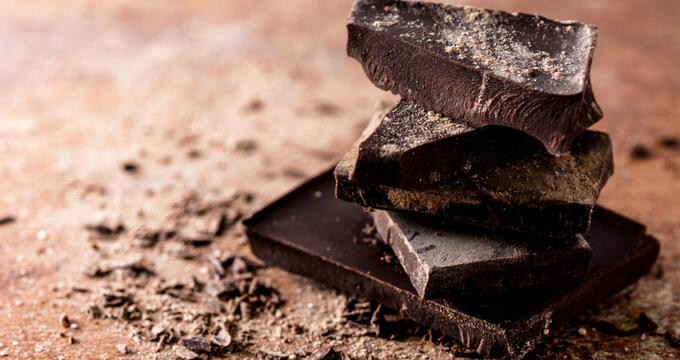 You can drink raw cacao, eat chocolate while doing yoga, snort chocolate powder, sample rare artisan chocolates, and watch chef demos during which chefs will show how they incorporate chocolate into savory dishes. You can also try pairing Port and chocolates as well as learn about chocolate history and ancient Maya’s cacao ceremonies. The festival is sponsored by The San Francisco Chronicle and SFGate. 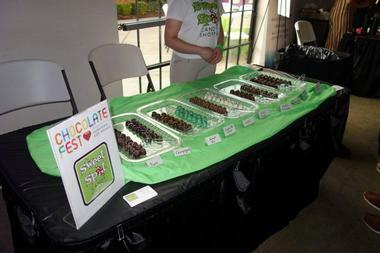 The Chocolate Expo in Monroe, New York is a widely popular one-day annual event that is considered the largest celebration of chocolate in the country. The festival events are held in several locations in the New York metro region, with plans to expand to more locations in the future. 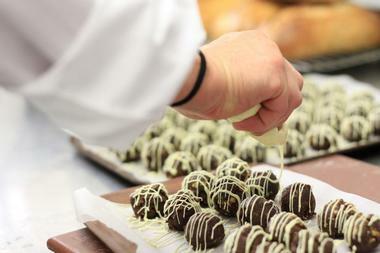 The Chocolate Expo includes tastings and sales of chocolates, baked goods, craft beverages, wines, cheeses, ciders, specialty foods, demos by celebrity chefs, and diverse entertainment. More than 60 local and regional vendors participate with their goods. The main event is held at the Cradle of Aviation Museum in Garden City, NY across from the Nassau Coliseum. The first Chocolate Expo was organized in 2006 to celebrate Governor George Pataki’s annual holiday to benefit the Make-A-Wish Foundation. The event, organized by the Baum Image Group, was so successful that it has ben held every year since and became the biggest chocolate festival in the country. Chocolate Fest in Louisville is an annual one-day event that brings together the best local and regional chocolate artists and chocolate lovers for a one day celebration of chocolates and other local products. Chocolate Fest has been organized for the last 18 years by Kentuckiana AIDS Alliance, and all profits go to support the Louisville AIDS Walk and Pet Walk. The guests enjoy chocolates, confectionery, local crafts, artisan foods, bake goods, and more. Tickets to the fest include chocolate, lite bites, spirits, and entertainment. Some of the participating chocolatiers are Amore di Mona, Candy Man Louisville, Art Eatables, Cellar Door Chocolates, Kandies of Kentucky, Ghirardelli, Kern's Kitchen, Louisville Chocolate Fountain, and others. The event is held in Mellwood Art Center in the Van Gogh Room. 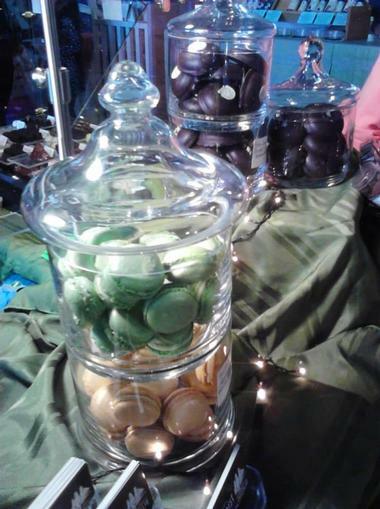 Decadent Dreams Chocolate Festival is an annual chocolate extravaganza in Rock Hill, South Carolina. Organized by Williams and Fudge, this one-day event has been eagerly anticipated for the last eight years by all local chocolate lovers. The event changes venue every year and its proceeds benefit Keystone Substance Abuse Services. Guests can stroll among displays of magical chocolate wonderland, get samples of premium chocolates and desserts, and enjoy a wonderful dinner buffet, chefs’ demonstrations, Starbucks coffee, silent and live auctions, and live music. Dallas Chocolate Festival was created nine years ago by DallasChocolate.org to celebrate the “Future of Chocolate” and teach Dallas chocolate lovers all about chocolate. The highly anticipated three-day event brings together more than 70 renowned and innovative chocolate makers and chocolatiers from Dallas and all over the world. The festival includes a range of events such as a VIP Party, a family-friendly exposition offering chocolate samples, selling chocolates, cooking demonstrations, hands-on workshops, a chocolate-making workshop, and a chocolate tasting class. Various events are held at several venues. The festival attracts thousands of visitors yearly, folks eager to taste and experience the craftsmanship and artistry of making quality chocolate. 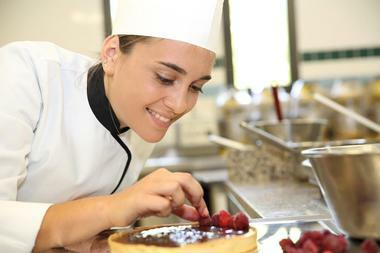 Every year a portion of proceeds is donated to fund scholarships to local culinary programs. 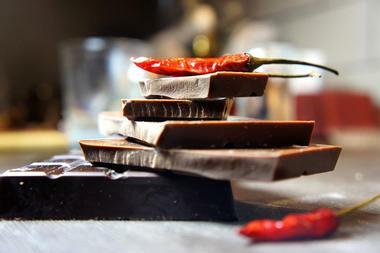 Chiles and chocolates, spicy and sweet is a strange combination to chocolate purists, but it is one of the trendiest combinations to come from the innovative chocolate makers. Its popularity is evident from the number of people who come to the annual three-day long chiles and chocolate festival organized at the Desert Botanical Garden in Phoenix, Arizona. The festival includes a large outdoor market, an open cash bar, and whole-day live entertainment. The market sells everything from the best chocolates and fire-roasted chiles to cotton candy and mole. The bar sells delights such as chocolate martinis and spicy cucumber martinis. The entertainment includes a popular DJ and live music featuring Latin, Spanish, and Caribbean tunes and salsa dancing. For two days every November chocolate lovers of Virginia Beach can indulge in endless samples and delicious new concoctions made by some of the best chocolatiers from all over the country. The festival is held at The Virginia Beach Convention Center and features a number of chocolate artisans and vendors that offer free samples, demonstrations, and sessions. 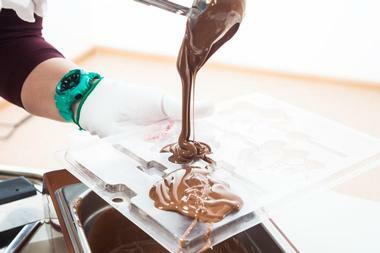 Visitors can talk to the chocolate makers and learn some of their secrets and recipes. There is a range of other events at the festival that change from year to year such as chocolate and cheese pairing, cooking with chocolate, and all sorts of live entertainment. 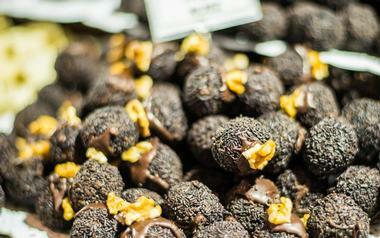 Northwest Chocolate Festival is the largest chocolate industry meeting in the world. More than 160 exhibitors from 20 or more countries come to Seattle with their best milk and dark chocolates, inclusion bars, chocolate desserts, truffles, bonbons, chocolate cakes, drinking chocolate, caramels and more, made by hand using the finest ingredients, for two days of pure bliss. There are also over 80 workshops, food trucks with all sorts of delicious foods, talks with chocolate makers and cocoa beans growers, and chocolate-making demos. The festival is held at the Pier 91 at the Smith Cove Cruise Terminal. In the heart of one of the greatest culinary metropolitan regions in the world, San Francisco is already known for its fabulous chocolates. But, once a year for two days, city chocolate aficionados and addicts can indulge in tasting the best products of 30 or more award-winning chocolatiers, best confectioners, and various culinary artisans. The salon is held in different venues every year, usually in more than one spot around the city, and it includes chocolate tasting, chocolate-making demonstrations, talks with chefs and book authors, wine tasting, chocolate pairing with other foods, and much more. Some of the chocolate artisans that participate in this popular event are Amano Artisan Chocolate, Z. Cioccolato, K+M Extravirgin Chocolate, Kindred Cooks Caramels, Michael’s Chocolates, Raphio Chocolate, and The Cocoa Exchange. Chocolate fans in Colorado Springs must be very nice because every year in December for the last ten years Santa brings them the most delicious of all events, the Holiday Chocolate Festival. Every year, the festival invites hundreds of renowned chocolate makers and artisan chocolatiers to bring their best samples. For one day, chocolate addicts can taste more than 100,000 chocolate samples from master chocolate makers such as After Midnight Macarons, barkTHINS Chocolate, Beyond Healthy Chocolate, BGV Chocolate Fountain, Cindy Cervetti Chocolates & Gifts, Cultura Craft Chocolate, Elixir Boutique Chocolates, and many others. Besides free chocolate samples and delicious chocolates visitors can buy as Christmas gifts for their loved ones, the festival has a range of fun activities such as Christmas Craft Station, free photos with Sant, face painting, chocolate pudding eating contest, Paint with Chocolate, and much more. Of course, there is music the whole day long. Every year in January The Harvard Square Business Association turns lively Cambridge Harvard Square into a chocolate extravaganza. 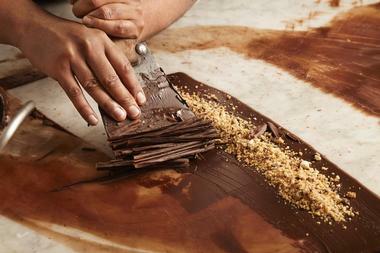 The highly anticipated Taste of Chocolate Festival is a weekend celebration of chocolate in all its forms and shapes. Hundreds of chocolate makers, chocolatiers and chocolate artists line up the streets of the charming urban village known as Harvard Square with their goodies for folks to sample and purchase. Some of the participating well-known local sweet shops are Benedetto, Cabot's Candy, DAVIDs TEA, Flour Bakery, Freepoint Hotel, Harvest, and Henrietta's Table. There is music of all kinds during the whole weekend, including salsa, merengue, reggeton, rock, and jazz. Dancing is encouraged. Magic Bird Arts & Crafts Festivals have been getting together artists, exhibitors, and vendors in a number of Arizona towns since 1989. One of their most popular events is Art of Chocolate A’fair held in the town of Gilbert in February. 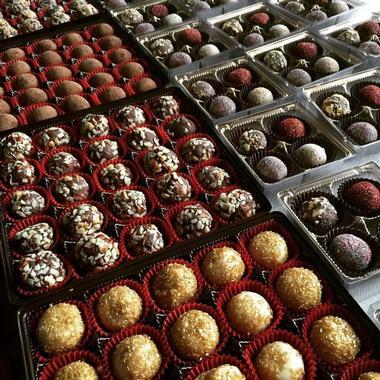 For three days, local chocolate lovers can indulge in sampling and purchasing delicious artisan chocolates, chocolate gifts, and confections. There is also music, live entertainment and various popular food trucks. For the last two years the festival has been held on the Great Lawn of the Gilbert’s Town Hall. 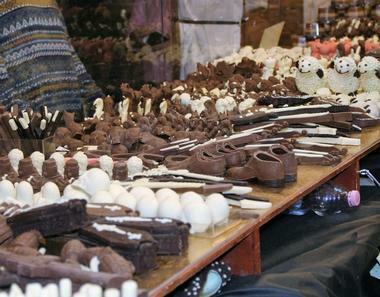 Now in its sixth year, Yukon Chocolate Festival is a one-day annual festival in the town of Yukon, Oklahoma. It features a delicious assortment of chocolates of all kinds made and sold by local businesses and groups. 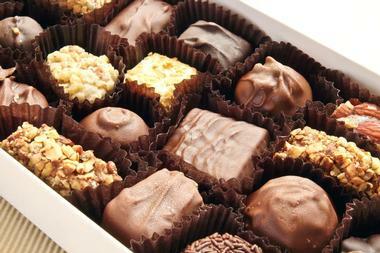 The festival also includes a silent auction of an array of special chocolates. 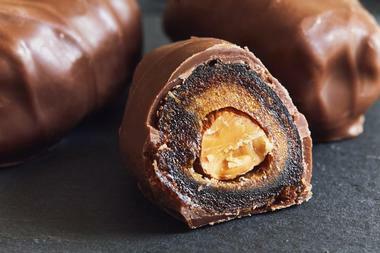 Every year the event includes 20 or more booths selling a variety of chocolate treats such as a chocolate fountain, chocolate sundaes, frozen custard, “dirt pudding,” and all types of chocolates such as white, dark, and milk chocolate. 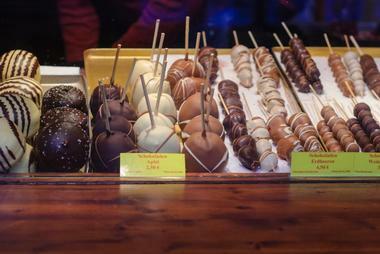 Awards are presented for Best Tasting Chocolate as well as Best Booth Décor. All festival proceeds benefit Ladies Library Club and Yukon Friends of the Park. Every year for three days in February just before Valentine’s Day, the Glendale Chocolate Affaire takes over the entire downtown Glendale to fulfill every chocolate-lover’s dream. Chocolate makers, vendors, and artisans from Arizona and all over the country gather in Glendale to showcase their best products at this award-winning festival. 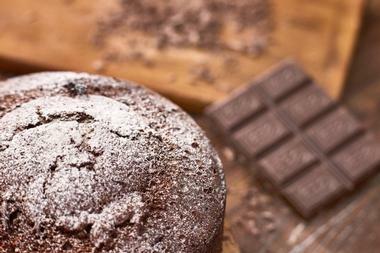 The festival celebrates the art and the romance of chocolate and the creativity of its makers. Chocolate confections presented at the Affaire include delights such as chocolate-covered strawberries, chocolate-covered nuts, chocolate-drizzled kettle corn, berry chocolate kabobs, chocolate-covered cheesecake, fudge popsicles, fried Snickers and Twinkies dipped in chocolate, and more. The Chocolate Affaire is sponsored yearly by Cerreta’s, Arizona’s renowned candy makers’ factory. The candy factory offers tours during the festival to show the visitors a behind-the-scenes look at how are chocolates made. The Norman Chocolate Festival is a popular weekend-long annual event in Norman, Oklahoma hosted and organized by the Normal PTA Council. They partner with local businesses and restaurants to offer thousands of delicious samples of special chocolate treats. The festival attendees enjoy the treats by purchasing a ticket. Tickets are valid for four one-hour long visits and allow the visitors to sample ten chocolate treats. The event is held at the Norman North High School. Most of festival proceeds support Norman Public Schools and various school PTA projects. The festival was previously hosted by the Firehouse Art Center. Organized by the Eureka Springs Chamber of Commerce for the last 13 years, Eureka Springs Chocolate Lovers’ Festival is an annual one-day event that is eagerly awaited. It includes a large number of local vendors, from small organic chocolatiers to household brand names and unique boutique labels. 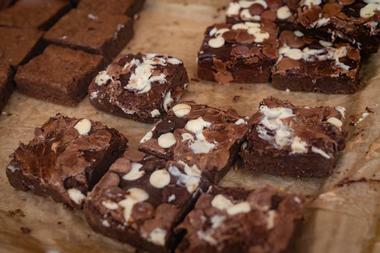 They all showcase and promote their delicious chocolate products and offer free samples to festival visitors. They present chocolate of all kinds, candy, cookies, cakes, and more. 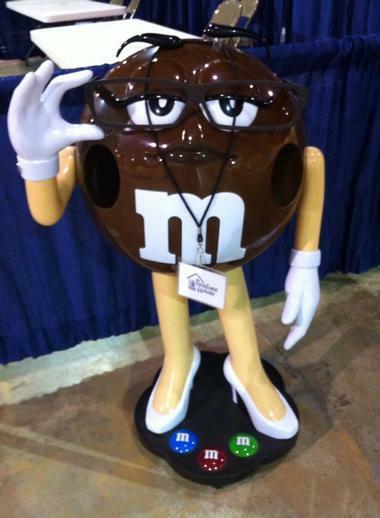 There are also chocolate novelty items, chocolate body products, and plenty of entertainment. For kids, there is a special Willy Wonka Roomwhere kids can take photos with Willy Wonka, have fun with folks from Trike Theatre, and even win GoldenTickets. For grown-ups who purchase VIP tickets there are special packages that include boxes of unique chocolates, chocolate dipping fountains, wine tasting, wine pairings, and more. 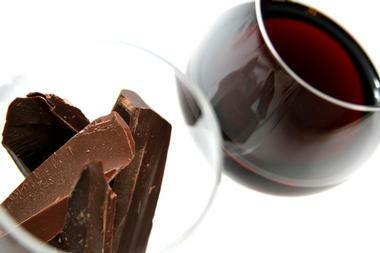 Wines and chocolates are very special combination, so those that love both are eagerly awaiting the annual two-day Wine and Chocolate event usually held in February. Participants of this fun celebration purchase tickets that allow them to visit 50 renowned wineries in the Lodi region. While tasting superb wines each winery is so proud of, they can sample delicious chocolates made by Brix Chocolates, made especially to go with particular wines. There is a bonus: one of those boxes of chocolates hides a special surprise. 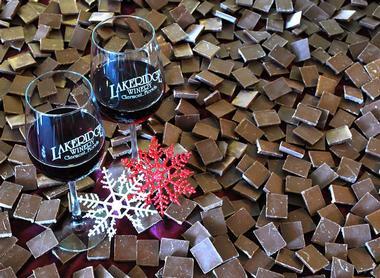 This popular local event is in its 22nd year and is bringing wine and chocolate lovers from all over the country. Each winery is also organizing additional entertainment. Every year in February, since 2005, folks in Brookings, Oregon, are eagerly waiting to attend Brookings Winter Art and Chocolate Festival. This very popular event that comes just after Valentine’s Day features about 26 arts and crafts boots and at least four chocolate boots to be judged by a special jury and enjoyed by visiting families. Most chocolate makers are local and participate in the festival every year, but there is always someone new. One of the most popular is Brevin's Solid Gold Fudge, with 35 flavors of gourmet fudge. 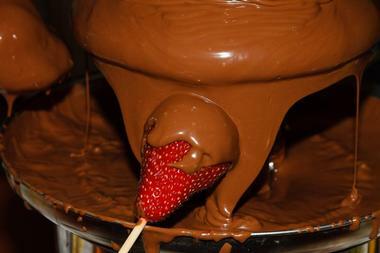 There is also live music by local bands and fun activities such as a chocolate-eating contest. The event changes venue from year to year. In its 11th year, The Mobile Chocolate Festival is a one-day popular event that brings together large number of vendors selling delicious chocolates as well as jewelry and bath and body products. 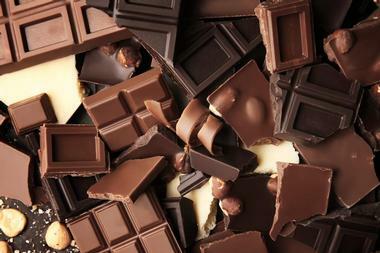 There are free samples of chocolates and chocolate-related products such as chocolate martinis. 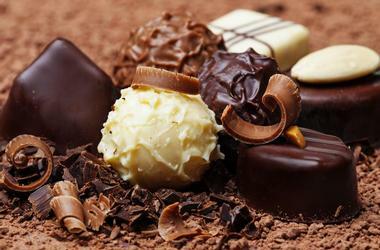 The event brings just about everyone in town who is fond of chocolates, and it always becomes a large party. There is of course music, chocolate-making demonstrations, a chocolate challenge, and even a competition in making the most beautiful chocolate-inspired fashion. One of the most popular spots is the Cupcake Boot and Magic Memories Photo Boot. All proceeds benefit Penelope House, an organization that provides safety, support, and protection to victims of domestic violence. Colorado Chocolate Festival is a two-day chocolate extravaganza, a massive celebration of chocolate and everything to do with chocolate held in Denver Mart, in Denver, Colorado. The entire 30,000 square feet of space is packed with chocolate candy, cookies, fudge, truffles, brownies, toffies, and much more brought by more than 80 chocolate producers and vendors. Besides overindulging in tasting everything chocolatey, visitors can attend demonstrations, wine tasting, wine and chocolate pairing, blindfolded chocolate identification, listen to interesting speakers, play all sorts of games, and have lot of fun. Only in its second year, Rocky Mountain Chocolate Festival is a hugely popular one-day celebration of everything chocolate. It is held at the Ranch Events Complex in Loveland, Colorado, about 45 minutes from Denver. Hundreds of vendors sell chocolate truffles, fudge, chocolate martinis, cupcakes, toffee, candy, chocolate fountains, and just about anything else remotely linked with chocolate. There is a chocolate sculptor spending the whole day on his chocolate creation and a kids’ competition where participants decorate their own caramel apple. There are chocolate eating pudding contest and wine and chocolate pairing. There are also a lot of chocolate lovers attending so come early before all the samples are gone. Every year in June the guests of Winter Park Resort indulge and overdose on chocolate of all kinds at the annual one day Winter Park Chocolate Festival. More than 20 vendors set up booths in The Village and offer their finest chocolates, truffles, fudge, hot drinking chocolate, and much more. The entrance is free but samples both big and small have to be purchased. There is live music throughout the day, cooking demonstrations, competitions, games, celebrity guests and judges, and of course magnificent mountains of chocolate all around to enjoy. The town of Hershey, Pennsylvania, the home of Hershey Chocolate Factory, is all about chocolate, and it is even called “the sweetest town in the world.” Their town square is called Chocolate Town Square Park, located on the corner of Chocolate Avenue and Cocoa Avenue. 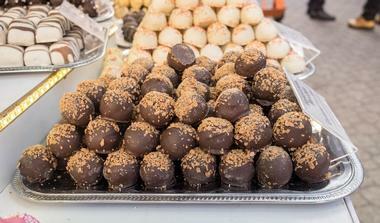 So when Hershey has a festival, it is, of course, the chocolate festival or Choctoberfest. This family friendly festival is an annual one-day over-indulgence in some superb chocolates, but it also offers live music, local craft beer, and wonderful food from several downtown restaurants. The festival is free to all, but to indulge in samples of chocolates from more than 70 booths, visitors have to purchase tasting tickets. Kids can enjoy face painting, obstacle course, the Kissmobile, crafts, and all kinds of games.